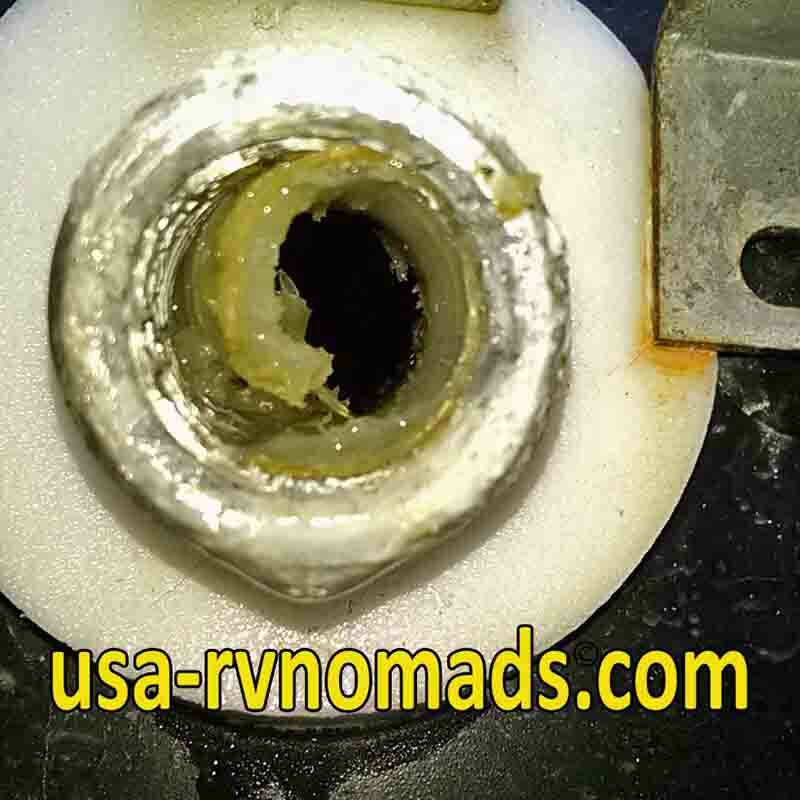 You should purge your RV water heater tank on a regular basis…monthly is best but once a quarter should suffice. Why? 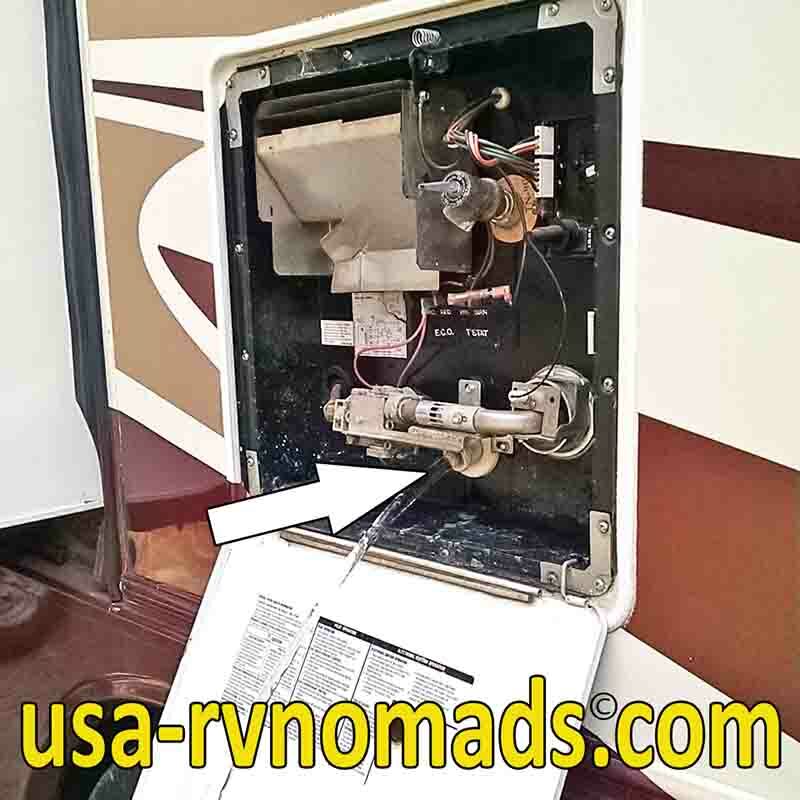 As you travel or if you’re fixed at a location with exceptionally hard water and heavy mineral content, draining the tank flushes any residual build up inside the tank. If this goes unchecked you could have corrosion problems develop, such as plugged hot water lines and quicker anode rod decay (if equipped). NOTICE: Before draining your water heater, turn the water heater completely OFF. Allow the tank to cool as long as possible. DO NOT TURN THE WATER HEATER BACK ON UNTIL IT HAS REFILLED WITH WATER! Otherwise, you’ll destroy your electric heating element (if equipped). 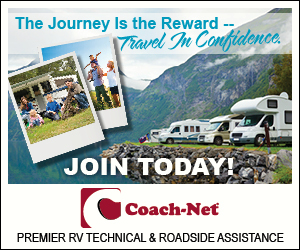 To get the tank to drain faster you can open up the over pressure valve or the hot water side of a faucet inside the rig. This allows air to enter the tank which allows the water to flow better. Otherwise it’s a slow glug glug glug process. Grabbing my trusty crescent wrench, I gave the plug a slight turn to tighten it. As soon as I exerted pressure the water started to spray all over me. A rather warm shower but I escaped uninjured. The plug was cracked. In fact, it twisted off in my fingers. It was the original plug which was now thirteen years old. 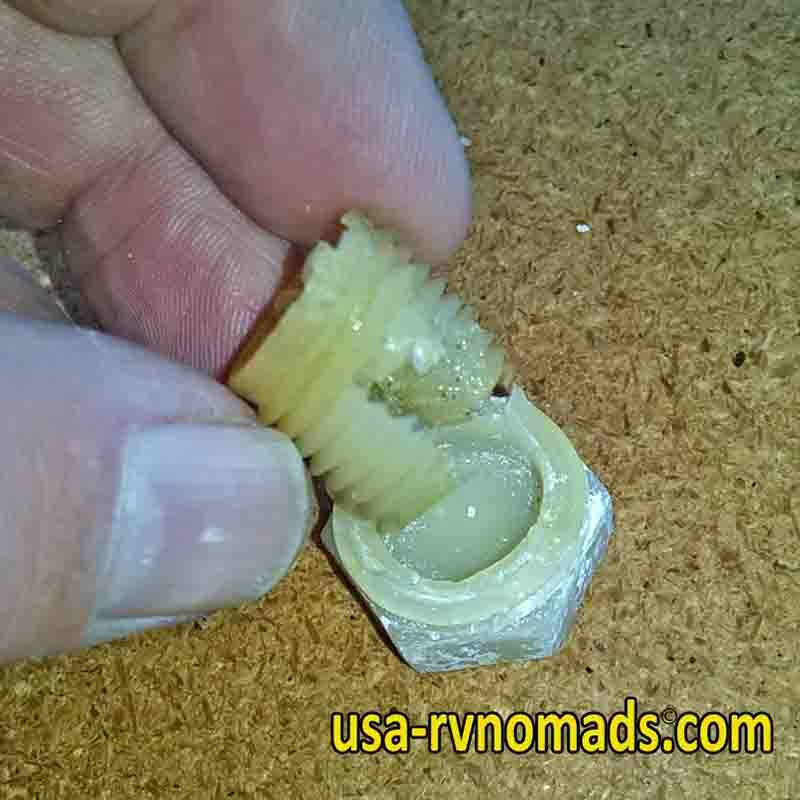 The plug is nylon composite and with time being exposed to heat and those minerals in the water it just dried out. The challenge now wasn’t finding a replacement; those are available at just about any plumbing department in a local hardware store. 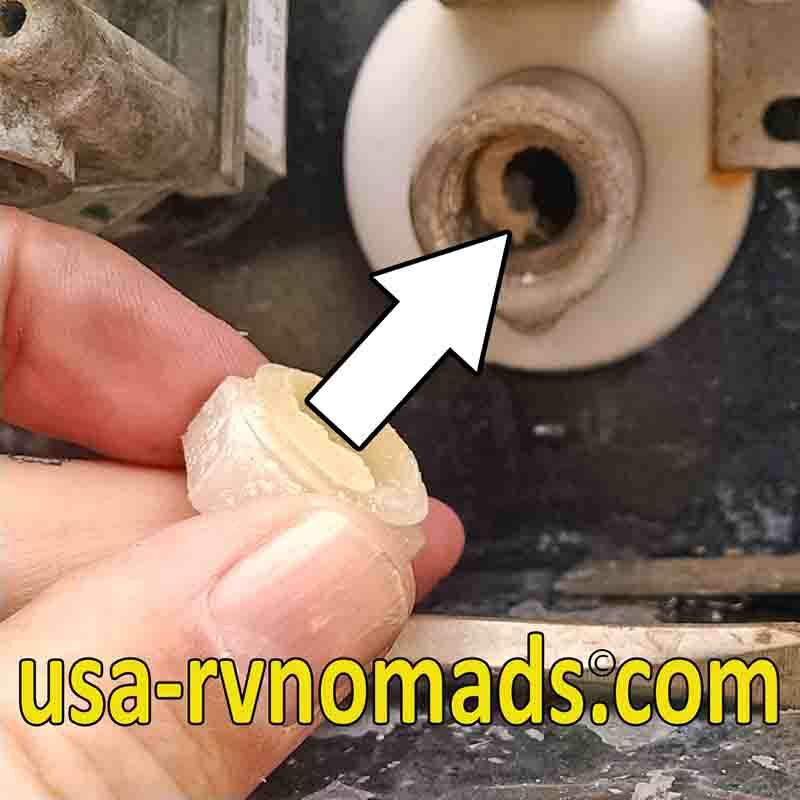 The issue was removing the remainder of the plug from the drain hole in the water heater. The top/end of the plug broke completely off the threaded end. It took some doing using a screw driver, pliers and a utility knife but I got it out. 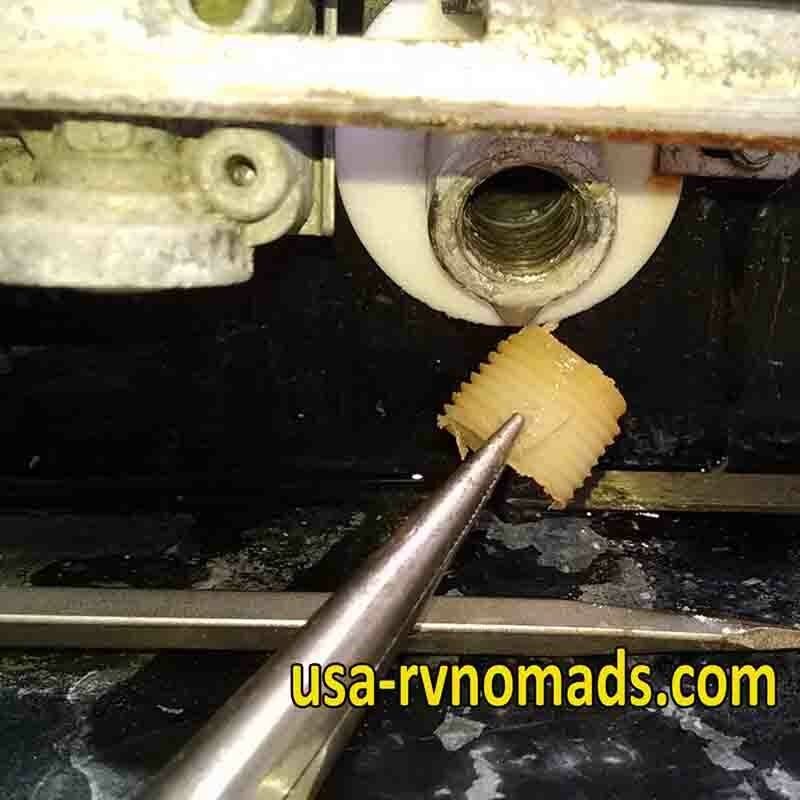 I had to score the plug lengthwise perpendicular to the threads so I could split it in half. 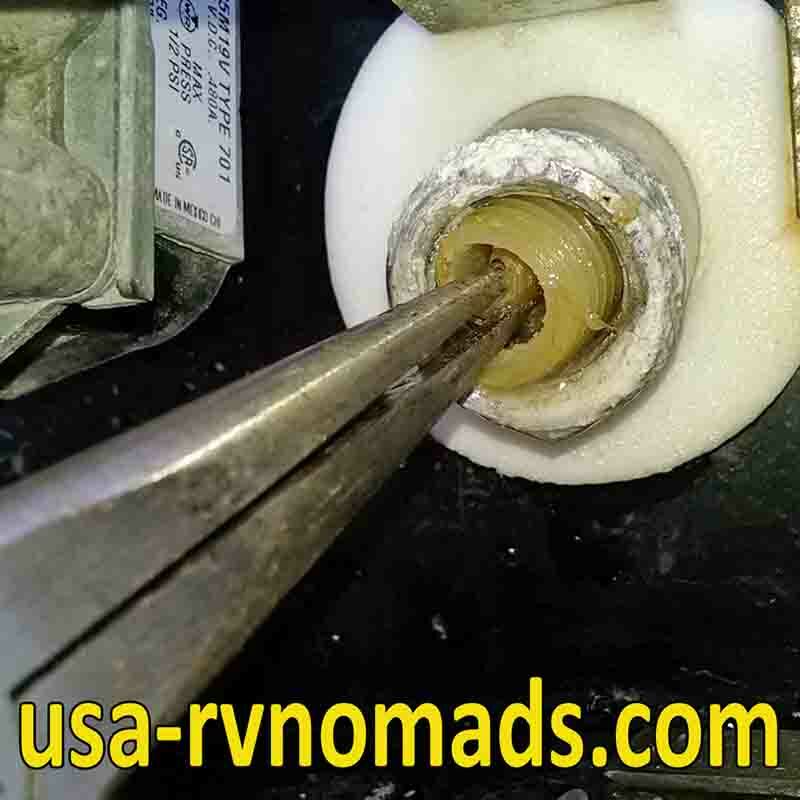 Once I had the cut made I used a screw driver to lift an edge of the plug so I could get my needle nose pliers to get a grasp on the plug. BE VERY CAREFUL TO NOT DAMAGE THE THREADS in the water heater drain. If you do, you might create more work for yourself or need the assistance of a plumber. Once I had the core out of the drain I took it and went to the local hardware store near where we were staying. Cost of a new plug…somewhere between one and two dollars depending if you purchase a brand name or generic (store brand) one. With the new plug installed, the water heater isn’t seeping or leaking.